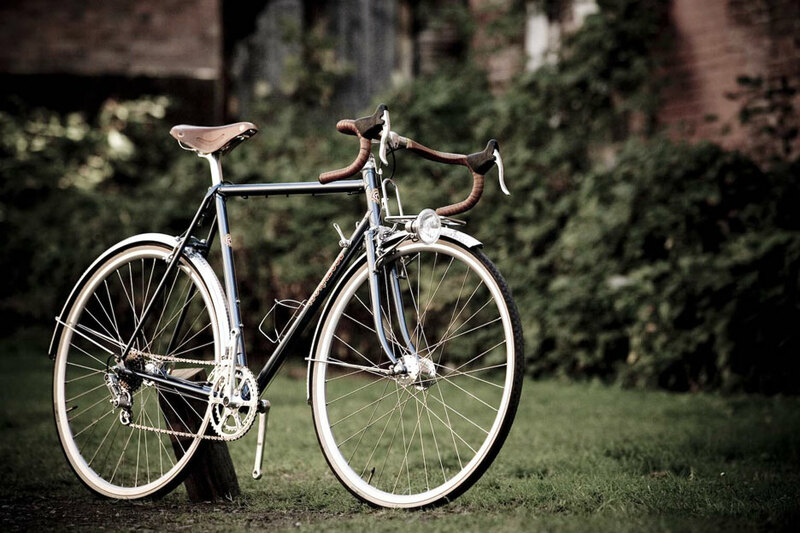 Frame and fork: lugged steel using standard OS Richard Sachs lugs. Wheels, tires, fenders: choose one from 650B x 33, 650B x 38, 700c x 24-26mm, 700c x 27-29mm, 700c x 30-33mm. 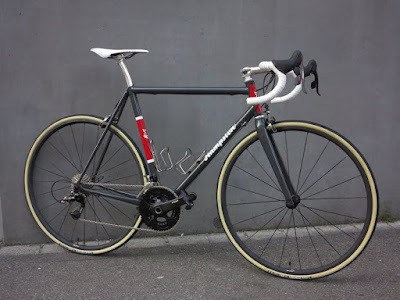 No 650B x 42mm with fenders. Fenders sized appropriately for tires. Rack: front only, $300. 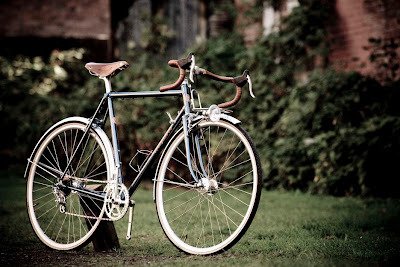 We can build the frame to work with a non-custom rear rack. Brakes: calipers fine, Paul Components centerpull and canti brakes also fine. Parts: new, modern parts preferred but we can usually work with older parts if not too worn. Lighting: battery lights preferred, dyno-hubs eschewed. Flexibility: yeah, I can be flexible on some of this, maybe. 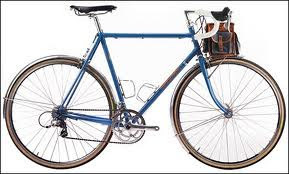 If I can't and you need to go elsewhere to get your inner Rene Herse on, Dan Boxer and Mitch Pryor are two guys that I would recommend off the top of my head. Steve expresses my sentiments exactly. 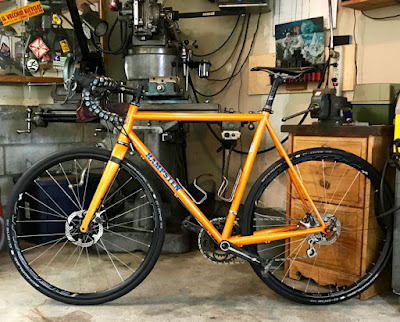 As we developed Tournesol we knew it would develop organically, that we would learn from the process of orders and building bikes. We've never been re-enactors of the past. We've had a vision that represents our DNA, our sense of who we are. I'm proud that Steve mentions me in this vision. 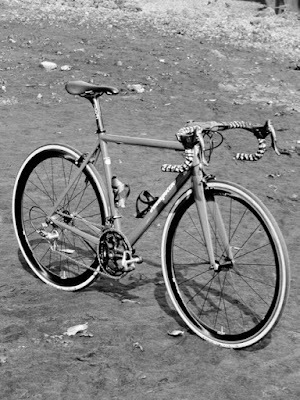 But all the hard work belongs to Steve Hampsten. These are great evolutions and we hope the bikes speak to you as they do to us. All goes back to being able to say no in order to keep the vision pure. I salute you.